Kerala is home to innumerable hidden tourist spots, some are only known to local tourists and a few to unconventional travellers. However, there are still several stoppages which are unknown to every kind of tourist and traveller. One such beauty tucked away in the lush greenery of Kerala is the small yet picturesque hamlet of Teekoy. If you have been longing for a place where you can enjoy the hush of nature and witness its magical beauty spread all across unexplored hills, forests and streams, then it is time you pack your bags. Teekoy is all here to fulfil your demands. Read on to know in detail about the location and surroundings of Teekoy and how to reach it comfortably. With a mild temperature throughout the year, Teekoy experiences a favourable climate and hence, it is a year-round destination. However, the best time to visit Teekoy is during the monsoon season, i.e., in the months of July and August. During this period, the lush green beauty of its surroundings is at its peak, thereby, letting you savour it to the fullest. Located in the Kottayam district of Kerala, Teekoy is a small village in the hills of Kerala and is characterised by an unpolluted environment, a calm atmosphere and composed surroundings. With the presence of hills, valleys and streams, it makes for a perfect weekend destination away from the noise of cities. As per locals, the village is said to have been settled in the late 19th century and is one of its kind in the district. 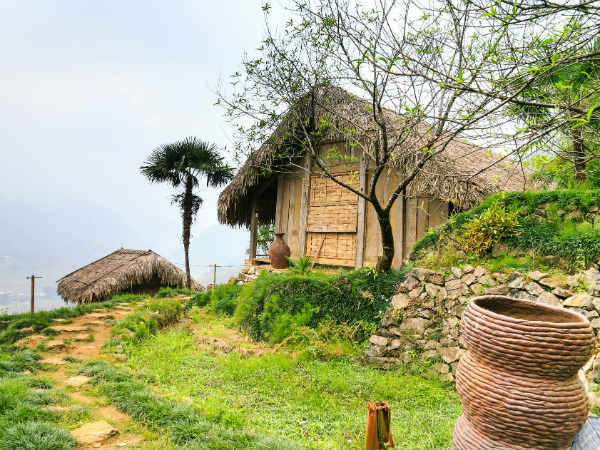 If you are looking to experience the authentic beauty of the countryside life, then you must head towards Teekoy. Apart from harbouring the richness of greenery, it also nurtures the rich culture of Kerala. Therefore, it wouldn't be wrong to say that if you desire to witness the raw culture of Kerala, then Teekoy is the village you should visit. Wouldn't you love to be at such an amazing place which is blessed with the beauty of raw culture, soothing rivers, green hills, deep echoing valleys and thick woods? It is really hard to find such a convincing amalgamation everywhere in Kerala. So, why not get yourself to this wondrous expansion of nature? You can also visit its beautiful St Mary's Forane Church. By Air: The nearest airport to Teekoy is Kochi. Hence, if you desire to travel by air, you need to take a flight to Cochin airport. Once you have reached the airport, you can either hire a bus to Kottayam and then a cab to Teekoy, or you can hire a direct cab from the airport to Teekoy. The distance between the airport and the village is 85 km. By Rail: The nearest major railhead is located in Kottayam at a distance of about 45 km. You can easily get direct trains to Kottayam railway station on a regular basis from other major stations. Once you have reached the station, you can hire a taxi to Teekoy. By Road: Teekoy has a good system of roads and hence, it is easily approachable by road.